There’s no shortage of near-perfect crossovers for sale today, including one with a dash of Nissan’s unique flavor: the Rogue. It shares a lot of the same features that make crossovers the “family car” of choice for today’s buyers. It has the upright look and big cargo space of an SUV swirled together with the polite driving manners and fuel efficiency of a sedan. A highway rating of 33 mpg is nice for a vehicle that can squeeze in a third-row seat if you want one. Where the Rogue stands out is under the sheetmetal. Unlike the six-speed automatic transmissions commonly found in its tightly packed crop of competitors, the Rogue takes an unusual path by routing its power through a continuously variable transmission, or CVT, instead. 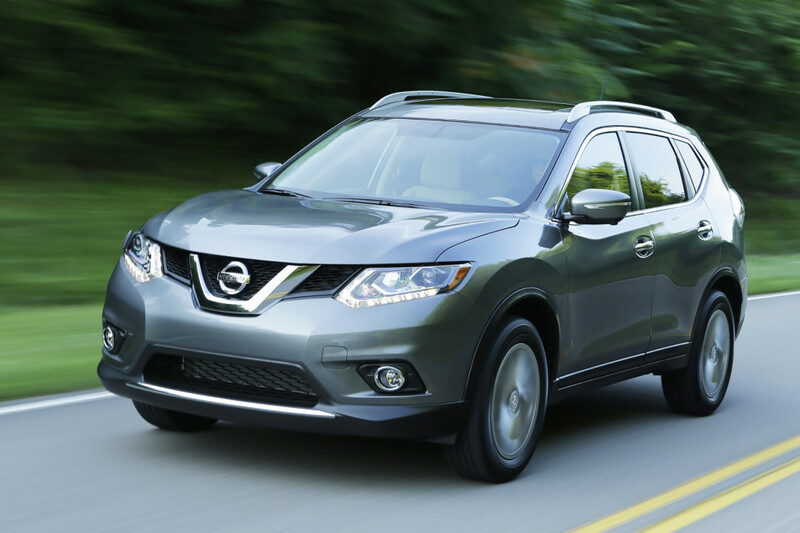 The 2015 Nissan Rogue has the features, style and versatility that make crossovers so popular with families today. That means it feels a bit weird under acceleration, at least until you get used to the sensation, because it doesn’t shift like most cars do. It just eases up and down between speeds. While I’m generally not a fan of CVTs in cars that are supposed to be sporty, like the Nissan Maxima, it doesn’t bug me in the family-hauling Rogue. It even has a smoothness that I’ve grown to enjoy, and it does a good job mimicking the feel of a traditional transmission under hard acceleration. It’s also a big reason for the Rogue’s good gas mileage, Nissan says, because its new design is roughly 10 percent more efficient than the last generation transmission. Coupled with a 170-horsepower, four-cylinder engine, the Rogue gives you decent acceleration that’s geared more toward saving fuel than providing thrills — especially with the addition of a fuel-sipping Eco mode this year — which is fine with me in this kind of car. 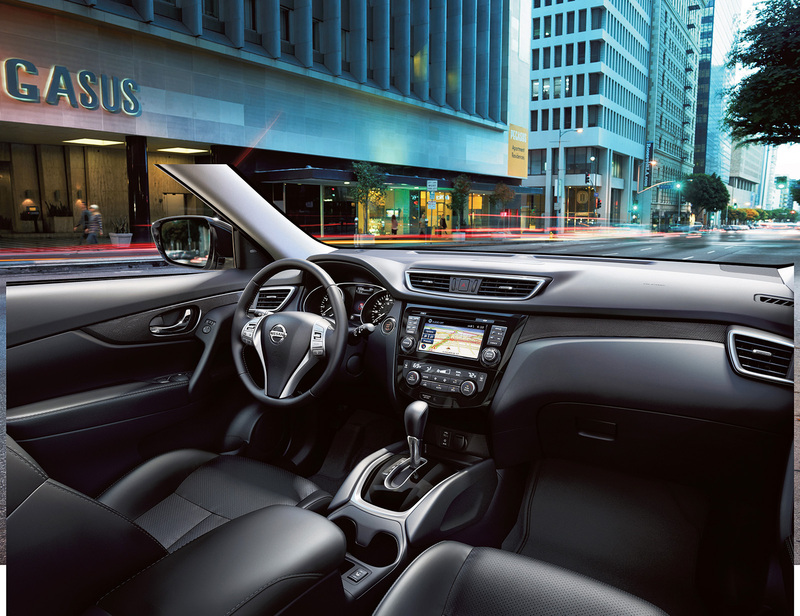 Materials, technology and roominess in the Nissan Rogue are all on par with the best of today’s mid-size crossovers. Top-end trim levels have an upscale feel. As for its driving feel, the Rogue strikes a balance between isolation and feedback from the road. The sensations slot about halfway between a firm, sporty Mazda and a soft, squishy Lincoln. While the optional third-row seat might be nice to have in a pinch, the two-row versions have a feature that might make me think twice about adding the extra seating: the cool Divide-N-Hide Cargo System. It provides 18 different ways of storing your items in the bottom of the cargo area on two-row models, including hiding them out of sight or lowering the bottom deck to let you fit taller items back there. Lots of crossovers call themselves versatile, but rarely have I seen a storage system that fits that definition as well as this one. Another unusual engineering feat on the Rogue — and one I’m surprised doesn’t get more attention in the automotive press — is a system called Active Ride Control that uses the brakes to help smooth out the ride. This system will very gently and lightly apply the brakes when you hit a bump to smooth out the body motion. It keeps your head from bouncing around too much on bumpy surfaces, almost like the active suspension systems you’ll find in expensive luxury cars. And because it uses much of the same hardware that every car already has as part of the antilock braking system, it keeps the cost reasonable — a very cool idea. Pricing starts at $23,040 for the base S trim and ranges up to $29,630 for the SL with all-wheel drive. With good gas mileage, a versatile cabin and innovative storage options, it has all the strengths that make crossovers popular these days.